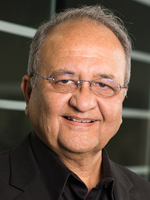 Mir Imran Chairman and CEO - Modulus, Inc.
Mir is a world renowned expert in medical devices, successful medical device entrepreneur and venture capitalist. In addition to leading Modulus, Mir is also Chairman and CEO of InCube Labs, a life sciences research lab and Modulus innovation partner. Both Modulus and InCube allow Mir to focus on his passion: creating medical solutions that change the standard of care in critical healthcare markets. 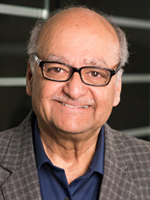 After attending medical school, Mir began his career as a healthcare entrepreneur in the late 1970's and has founded numerous game-changing companies since those early days. Over the decades, he has become one of the leading inventors and entrepreneurs in the field. Mir now holds more than 300 issued patents and is perhaps most well known for his pioneering contributions to the first FDA-approved Automatic Implantable Cardioverter Defibrillator. As an entrepreneur, Mir has founded more than 20 life sciences companies; 15 of his companies have seen "liquidity events" (IPO/Acquisition). Mir's expertise spans a wide range of clinical areas from interventional cardiology to chronic pain, obesity and CNS disorders. Mir actively collaborates with the nation's top universities on research and development including Stanford, Rutgers, Johns Hopkins, UTSW, etc. Mir also founded InCube Ventures, a life sciences venture fund, where he has led investments in a range of promising ventures. Mir sits on Boards of several life sciences companies. He holds an M.S. in bioengineering and a B.S. in electrical engineering from Rutgers. He also attended CMDNJ/Rutgers Medical School. Abbas is an industry veteran with more than 30 years of experience in electronic manufacturing and management. With Modulus for over 25 years, Abbas has been instrumental in helping Modulus exceed industry standards from manufacturing processes and purchasing to quality improvement. He leads the day-to-day strategic operations for Modulus, and plays a key role in ensuring complete customer satisfaction. 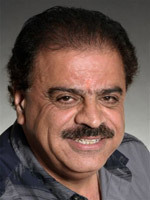 Abbas received his electronic engineering degree from San Jose State University. Sohail brings 15+ years of technical support and account management experience to Modulus. At Actuate, an enterprise software firm, he was tasked with building several new domestic and international support teams for various company initiatives. Sohail established the Enterprise Support team and managed strategic Enterprise accounts such as Citigroup and JPMC. As a cost savings initiative, Sohail established a support team in Shanghai China to support North American customers. As part of a company-wide initiative to properly identify customer entitlement information, Sohail established the Entitlement team tasked with converting and maintaining all customer entitlement data electronically within Salesforce. 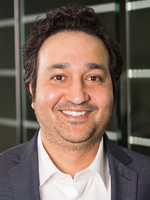 Sohail was also responsible for managing the relationship with Actuate’s OEM accounts and for onboarding new OEM accounts. Talat Imran has over 15+ years of experiencing designing, developing and marketing websites and web applications. He has designed sites for startups and pre-IPO companies alike, as well as marketed and scaled web applications to more than 500,000 visitors per month. In addition, Talat has worked in the venture capital industry at The Angels’ Forum, and most recently at InCube Ventures. The combination of technical expertise and business acumen is a large part of what makes Modulus Inc an ideal partner in building any growing company’s web presence. 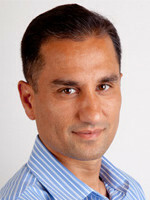 Talat has a bachelor’s degree in computer science from the University of California, Santa Cruz.